EARLY PAYMENT IS REQUIRED TO OBTAIN GOOD OPERA FESTIVAL SEATS. Both Milan and Rome are serviced by international airports. International flights and airport transfers at the commencement and conclusion of the Tour are NOT included in this tour. Please contact us if you would like assistance with your International Flights. Registrations for our Italian summer festivals tour have now closed. Let us know if you would like to join us on a similar tour at some stage in the future. Register your interest here. A magnificent tour incorporating summer opera festivals of Italy - the Verona, the Maggio Musicale Fiorentino and the Puccini, plus visits to some of the most beautiful opera theatres of Europe - Milan's Teatro La Scala and the Baths of Caracalla of Rome. We will be indulging in breathtaking scenery, art, history and culture, visiting Italy's much loved major cities as well as the ancient regional towns of Lucca, Verona, Sirmione and San Gimignano. While the focus of our tour will be spectacular opera performance at Italy's most prestigious summer festivals, we will also be paying tribute to the Renaissance masters, Botticelli, Michelangelo and Raphael, and the Baroque geniuses Bernini and Borromini, artists and architects who had so much influence on the artistic development of this wonderful and inspiring country. We will be incorporating visits to both the major and lesser known cultural sites and artistic masterpieces in each location, such as Castello Sforzesco, The Vasari Corridor and the magnificent Villa d'Este, with its extensive cypress gardens and many fountains. As our time on tour is precious, we can only spend 2 nights in Milan, not enough time to fully explore this gracious and artistic city. 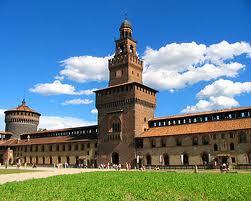 Please let us know if you would like us to arrange additional nights in Milan prior to 9th July on your behalf. We may also be available for guided tours by arrangement. Our tour commences in Milan, where we will we staying in the HOTEL MILANO SCALA situated in the Brera district, a few minutes’ walk from Teatro alla Scala, the Galleria Vittoria Emanuele and the Duomo Milano. Our hotel is also a pleasant walking distance to one of Milan’s most important galleries; the Pinacoteca di Brera, home to many masterpieces by leading Italian artists, including works by Raphael, Caravaggio and Mantegna; and the magnificent Castello Sforzesco, with its many museums and home to Michelangelo’s last sculpture, the Rondanini Pietà. This is a production of the Teatro Comunale di Firenze in collaboration with the Teatro alla Scala Academy, staged by the multi-talented British director, author, humorist, actor, presenter, sculptor and physician, Jonathan Miller. His fresh and sparkling staging provides the perfect basis for the annual Teatro della Scala Academy production, in which Academy students create a production to equal the highest standards of performance seen at La Scala. 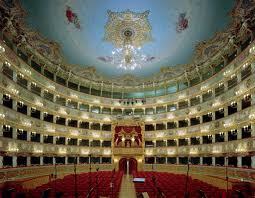 This production will also be staged at the Maggio Musicale Fiorentino annual Summer Festival. After a leisurely morning in Milan, we will transfer to Milano Centrale in time to catch the afternoon train to the ancient Roman city of VERONA. Situated on the River Adige, Verona boasts ancient piazzas, forums and medieval castles, including Piazza Erbe, built on the site of a Roman forum, the magnificent 8th century Duomo Santa Maria Matricolare, home to Titian's Assumption, painted between 1535-1540. We will also visit the 14th century Castelvecchio, today a magnificent art gallery with aerial walkways and corridors designed by Carlo Scarpa. minute’s walk from Piazza Erbe. Our local guide will introduce us to Verona, visiting many of the cultural sites, such as the Casa di Giulietta with its legendary balcony, Lamberti Tower, some of Verona's Medieval churches, a visit to the beautiful Renaissance style Giardino Guisti with its spectacular views over Verona, and the 14th century Palazzo Giusti, home to several frescoes which are the work of Francesco Lorenzi & Lodovico Dorigny. This morning we take the comfortable 2 hour fast-train journey from Verona to VENICE. 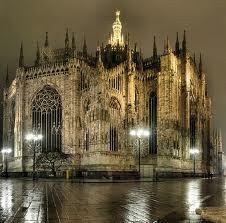 We will be staying at the very central and luxurious HOTEL BONVECCHIATI. Located in the heart of Venice, the Hotel Bonvecchiati has the most privileged position of any 4-star hotel in Venice: situated in Calle Goldoni, just a 3-minute walk from Saint Mark's Square and 5 minutes from the Rialto Bridge, the Rialto stop of the vaporetto that takes you to the Grand Canal. 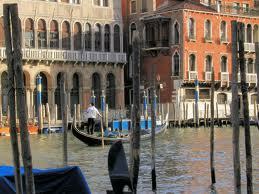 The Venice Lido is also 5 minutes away via vaporetto. guide, who will introduce you to all those things people love about this unique and marvellous city. Our afternoon will include visits to several of the many cultural sites of Venice, including the beautiful Peggy Guggenheim museum. Our stay in Venice coincides with the annual Festa del Redentore, a religious festival dating back to 1577, in celebration of the city's deliverance from The Plague which swept through Europe with devastating results. At dusk this evening there will be traditional Venetian food served in Piazza San Marco, followed by a magnificent fireworks display which will illuminate the spires, domes and bell towers well into the night. Pending availability there may be the opportunity to attend additional classical performances at one of Venice's many Chiesa or Scuole Grande. We will meet our guide early this morning for a guided visit to the wonderful Accademia Gallery, situated in the Scuola Grande of Santa Maria della Carità, on the Grand Canal. The Accademia is home to a very rich collection of Venetian paintings, from the Byzantine & Gothic 14th century, to the artists of the Renaissance, Bellini, Carpaccio, Giorgione, Veronese, Tintoretto and Tiziano until Gianbattista Tiepolo and the Vedutisti of the 18th century ... Canaletto, Guardi, Bellotto, Longhi. The afternoon will be at leisure for your own exploration. This morning we will take an excursion to the island of Morano in the Venetian Lagoon to visit the famous Morano Glass factory. The afternoon and evening will be at leisure. This morning we will take the vaporetto to the Venice Mestre Rail Station, in time for our fast-train to FLORENCE, arriving in time for lunch in our hotel, the very centrally located GRAND HOTEL MINERVA. After a rest and refreshments we will enjoy an introductory guided walking tour of this artistic Renaissance city. Morning: Guided walk via the historic Ponte Vecchio to the Pitti Palace and gardens for a guided tour. The remainder of the day is your own, for further exploration or to enjoy a relaxing afternoon at our hotel's magnificent roof-top swimming pool and panoramic terrace from where you can take-in one of the world's most beautiful 360 degree views across the façade of the Church of Santa Maria Novella, the Duomo, Giotto’s Bell tower and the Palazzo Vecchio. This evening we will enjoy a choral performance at the historic Anglican Church of St Marks. This morning we take a pleasant drive through the Tuscan countryside in our private coach to the Medieval walled town of LUCCA, arriving in time for lunch at your leisure at one of the many elegant restaurants around Piazza Napoleone, home to a marble statue of Elisa Bonaparte Baciocchi, sister of Napoleone Bonaparte, who ruled Lucca from 1805 to 1815. The afternoon will be your own for a siesta or further exploration. After a leisurely last morning in Lucca, we will return to Florence by private coach in time to catch the high speed train to ROME, arriving in the late afternoon. Our Rome hotel will be the beautiful and tranquil VICTORIA HOTEL ROMA, situated by the 2000 year old Aurelian Wall in the historical centre of Rome facing the beautiful Villa Borghese Gardens, just minutes walk from Via Veneto and Villa Borghese. through our hotel's marvelous surrounds. Evening opera performances at the ancient Baths of Caracalla. Program details to be advised. This morning our guide will collect you from our hotel for a guided walking tour, introducing, or re-introducing you to Rome's most significant sights, including the Piazza di Spagna, Fontana di Trevi, Il Pantheon, Campo de’ Fiori, Piazza Navona. Today we will take the metro further afield to St Peter's Basilica, Vatican Museum and Sistine Chapel. Our tour will end at Castel Sant Angelo, originally built as a mausoleum for the Emperor Hadrian (AD130-139). It is the famed setting for the last act of Puccini’s Tosca. Here one can admire the beautiful views across Rome over coffee or cocktails in one of its rampart tower terraces. We will return to our hotel via the ancient Trastevere district, with its rich history and character, often referred to as the ‘Village within the City’. Our wonderful Italian tour concludes after breakfast. If you would like to extend your stay in Rome at our hotel please advise us at your time of booking and we will be happy to arrange this on your behalf. If you would like to be kept abreast of additional information as it becomes available, please join our Mailing List.